I don't think I can ever stop trying to figure out what exactly my current style is. As always, I find myself at loss for words — literally. At times I feel like it's never going to happen. The figuring out thing, I mean. I'm constantly in envy of those who seem to have it all figured out; the person who owns such a streamlined wardrobe that most people know exactly what to expect from her (or him). Sometimes I even wished I have that person's style identity because honestly it would simplify shopping a whole bunch (plus I wouldn't be having all these needless dramatic style identity "crisis"). 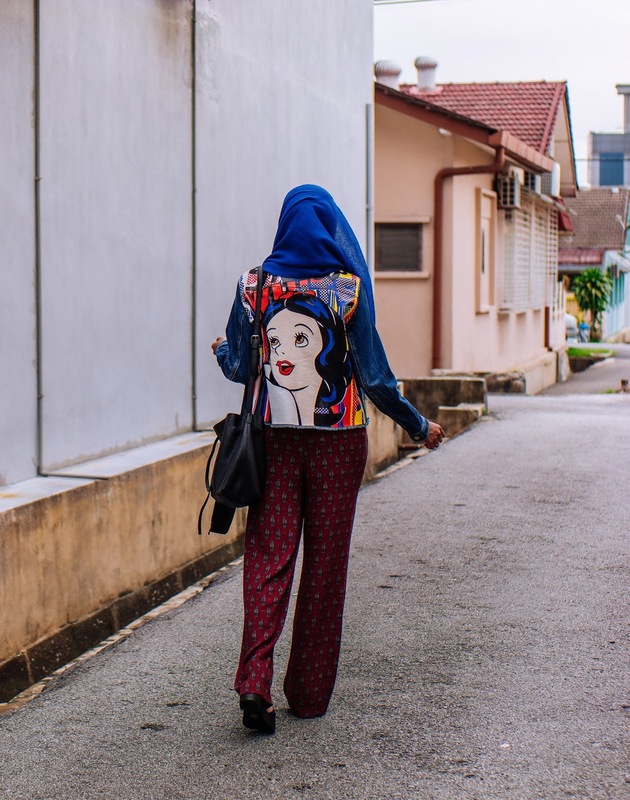 I saw this printed Snow White denim jacket hanging in the Disney x Meters/Bonwe section (where I also got this Mickey patch jeans and Mickey printed jeans) and I knew immediately I GOTS TO OWN IT. 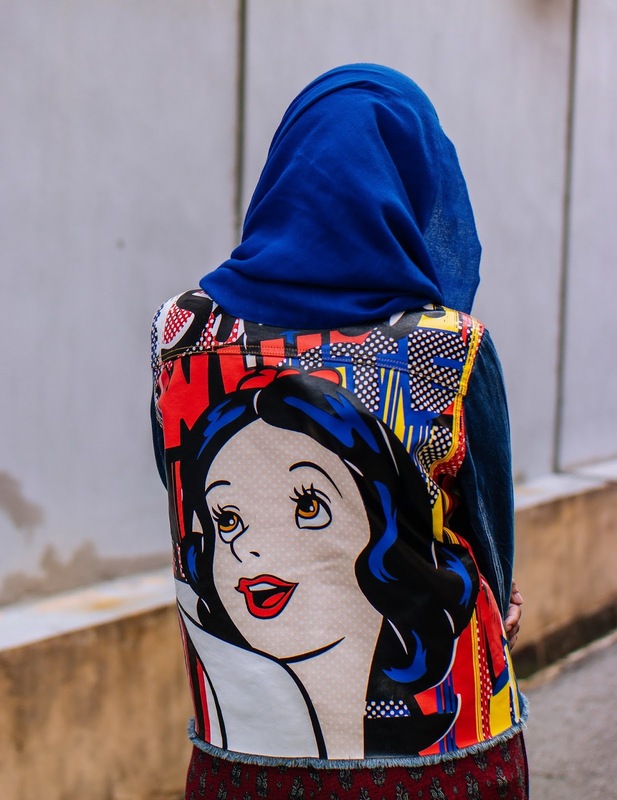 OK so I own a denim jacket that looks exactly like this Snow White one from the front but when you turn around in it it's like ka-pow! 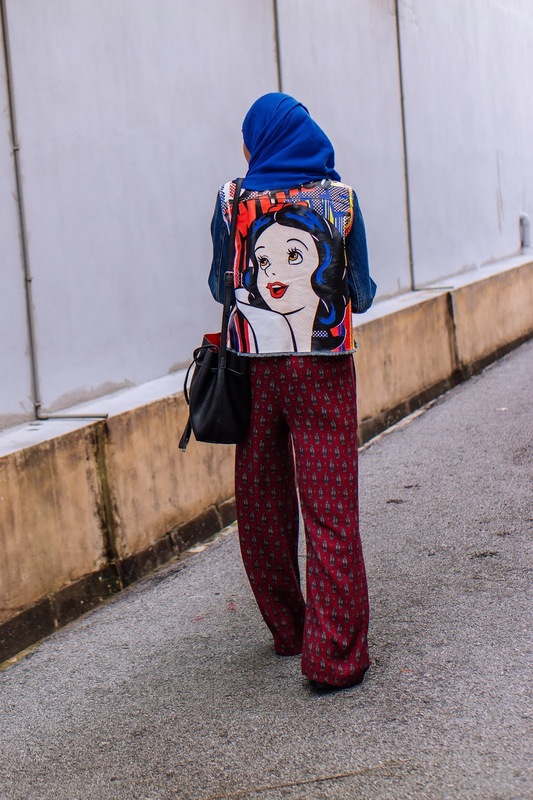 Now, lusting after this jacket must say something about my current style, right? What do you think it says? 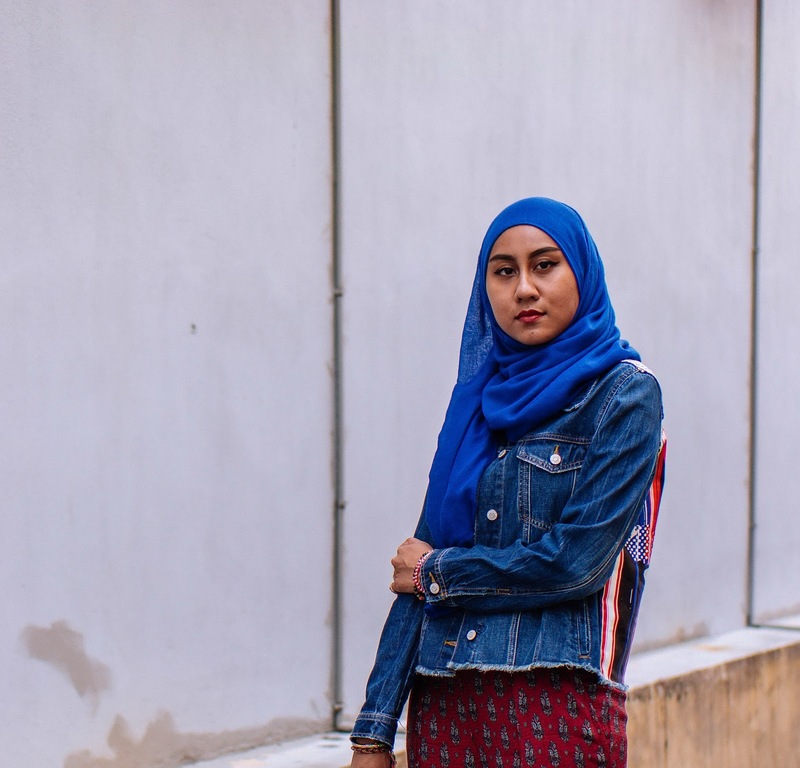 You most definetly HAVE a personal style Liyana! When you say, "I just had to have it" you are creating one aspect of your personal style. What you love to wear, even when it reflects just one aspect of your darling personality you're style evolves. Why would you want to have just one focus? You're too young to commit. Also the fact that you can't commit is a GOOD thing. Clearly you're not a slave to the trends that some young women follow a little too blindly. 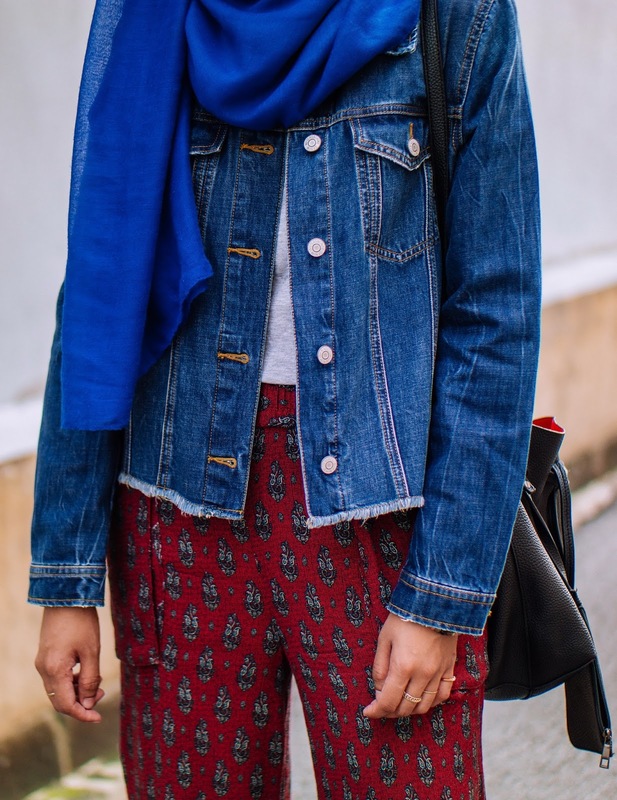 I LOVE your Snow White jean jacket and your cobalt blue hijab and those cool red print pants. 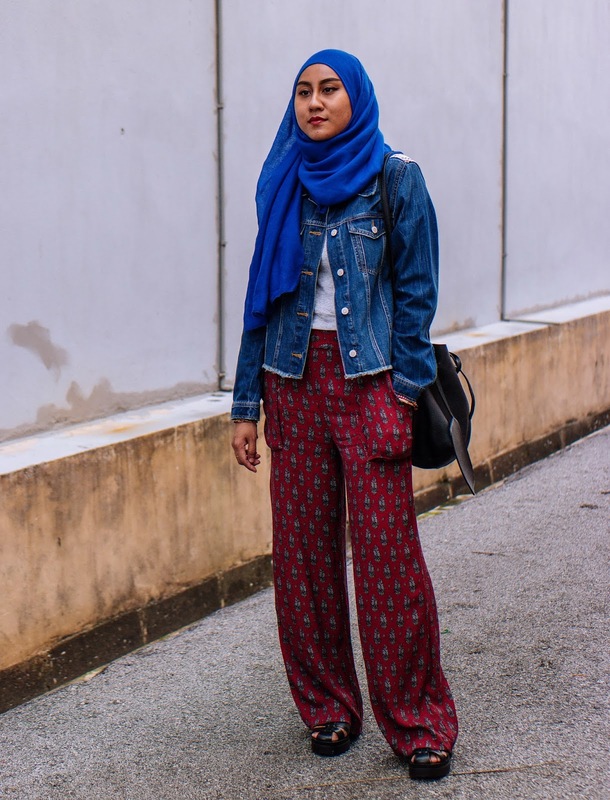 GREAT STYLE LIYANA! ! I'm glad that you think my not being able to commit to a style is a good thing, I never thought of it that way. This might be weird but I find the line "Clearly you're not a slave to the trends that some young women follow a little too blindly" flattering, so THANK YOU for that. I think of myself as someone who enjoys trying out whatever new trends that crop up in the scene but originality is always something I strive for in my style, too. 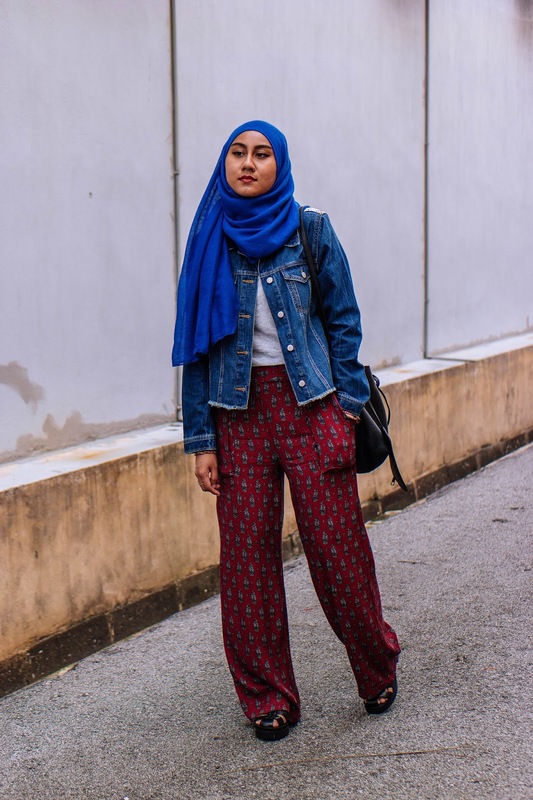 Just a thought...Are you measuring yourself against other hijabi women or the general population of young women of your overall age group. Also, a possible tip; great dresses, good prices on VIPME. Give it a whirl! More against the general group of women, yes. VIPME looks great, but still pricey for me! I like to go for $25 below (that's why I love sales), and I've always preferred shopping in person, because trying out clothes to check the fitting is VERY important to me!